Matic Car is one type of vehicle that will give a sense of comfort to the owner. Because when driving a car for beginners is actually very difficult. In the manual car that is complete with automatic transmission, so it can facilitate you car lovers. In Indonesia has a very significantly increased sales rate in car matic sales. Matic car has indeed provided evidence that the contribution means improving performance in driving. Very simple if the appealed by a vehicle or a car that bertransmisi manual. If viewed from the other side that with the increasing number of cyclists motile that is not balanced with the growth of street segment, thus giving the impact of road users are very solid, then here is the advantage of matic car. For people who are conventional and not yet accustomed to having a matic car, most of them still have the thought that car matic is quite troublesome in terms of care. In addition, car care matic is also considered still expensive compared to manual cars. If you have symptoms of minor damage, then get ready to spend deep for repair. Though the idea is not entirely true. Nowadays, caring for a matic car is no longer complicated much less expensive. All it takes is painstaking and diligent in performing routine maintenance and check the condition of all lubricants for the matic car. One of the most vital parts is definitely the matic oil condition used. Car service is one of the most important things. Because of the convenience and security we can get by doing the car service. For Matic service car is a very important thing because it is also to follow manufacturers who provide regulations for the service periodically. Mibil matic desperately needs an up - det about a vehicle that is very in the required by the manufacturer for each rider. For car matic, in addition to car service then the engine oil changes should also be considered. Engine oil is also very important for your car because of the security and comfort not only through the regular service but also with the turn of engine oil then you can get the security and comfort. In car care matic maintains the state of its automatic transmission oil, then you matic vehicle owners must change the transmission oil regularly and regularly, because it is in the know that the car at least 25,000 km matic and is at a maximum of 50,000 km then it is required to change the transmission oil. You can use the transmission lubricant that has been recommended by car manufacturers. The type of lubricant that you often use, heavy or light when you do the vehicle then this is one of the lubricant oil replacement time usually in use. Matic cars often experience damage to transmission gaskets such as transmission gasket leaks or transmission gasket damage. Therefore you as the owner of the vehicle must check in advance. Vehicles that have a manual type then very different from the vehicle matic. For a matic car could have damaged velve and leaking velve, then this can happen when the levers are loud and gas jolt. If you are in a condition that is difficult to avoid such as flooding and heavy rain then you must change the transmission oil to avoid things that you do not want, because heavy rain or flood is large then the water can enter into the gearbox. Your matic car can experience a bad thing if you ignore it like a gear or transmission jam. Checking the way the transmission performance can be checked by yourself as the owner of a car vehicle matic. Then you can place on the transmission lever in position D or R, then you can remove the car brake. If the car does not have a transmission system problem then your matic car will immediately move. You as the owner of the vehicle, especially a vehicle that matic then you must be diligent - diligent for testing the road, how easy enough as you want to run your car matic, then for maintenance of car matic then try to move your car gear. You as a driver should be able to feel that the gears are moving closely. 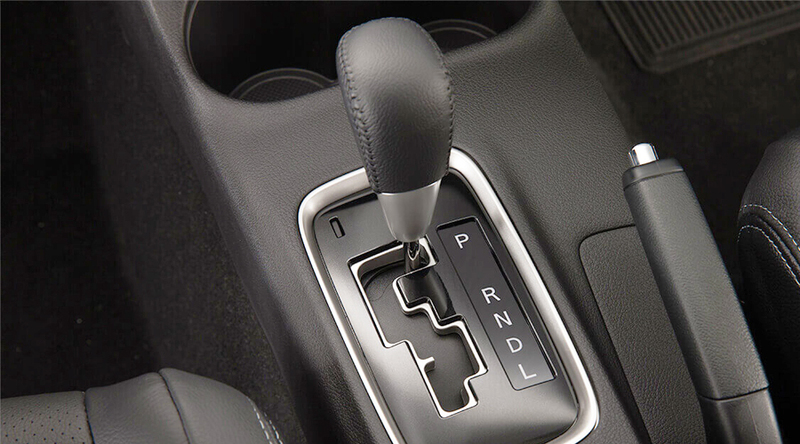 If you hear strange sounds when you shift gears like a noisy voice and the car is slightly shaken then you should know that your car transmission is having problems. If you experience problems with your matic car like that then you immediately bring your matic car to the workshop that you have trusted. Because if there is a problem with the transmission of the car it is a fatal problem, because transmission is a vital part of your matic car. You should also note if you want to travel by car then you should pay attention to your car matic so do warm up on your car before walking away. Because heating the car before traveling or before using is one trivial thing, but many people who own a car matic but even ignore the trivial. Though you should know if you are too often negligent in heating the car it will be fatal, but if once or twice will not be fatal, you will feel the disruption in your car matic engine. So do not forget to heat your car matic and need to remember in heating the car matic then the state of the transmission lever is in position N (Neutral). Maintenance of the car matic next is you as the owner of the car must examine in the use of gears, you as a car user then avoid the use of "P" gears if your car matic in a state stop. If you use continuously then your matic car can be damaged at its persnelin. If you want to build your matic car then you do not use D gear, because if you use D car matic you will be damaged. To be more secure for your car matic is simply by moving the matic car transmission lever to the "P" position if you want to park the car. Often not its compact per engine rotation matic you with matic car rate then it should note that the damage to the transmission of matic that often happens is a slip clutch, the sound of a rough engine when used to run at a very high rate but the car's rate is not balanced, when you want to move. So when you first buy a car that is motorized matoic then you should pay attention and read the manual car matic, the manual has many benefits for you because in the guide book much to provide information on how to care for car matic properly and well, the guidebook also informs you about the matic car warranty.